We’d love to bring beautiful interior design to your home! If you haven’t seen the information you’re looking for on the website, please check our frequently asked questions below. If you still can’t find an answer, chat to us on info@designbx.com. We’d love to hear from you! We’re an online Interior Design solution that connects you with talented designers who compete to style your home. It’s a collaborative, dynamic and affordable way to design. The Designbx promise is to offer a full design solution for a single upfront project price – no hourly fees, add-ons, or hidden costs. The real bonus is our exclusive industry discounts. These savings can span from 5-50% on individual products. Essentially, you could receive your design solution at no cost when using your personal shopper to conveniently order your items for you. After taking our fun style quiz and providing some information about your space, you’ll launch your design project and begin receiving first impression designs from your designers. Little add- ons like linking your designers to your Pinterest account brings great insight into “your style”. You could also make a Pinterest board just for Designbx. After all of your submissions are in, you’ll pick a winning designer. You’ll work one-on-one with your designer to complete the design which includes a design folio with a final style board, floor plan, set-up guide and Shopping List. Review the Shopping List line by line to see the exclusive industry discounts that you have received, tick the box for each item you want to order and let your personal shopper do the rest. Designbx will place your orders and seamlessly organise your deliveries with our suppliers. How do we source our designers? Our approach to sourcing designers starts from the very first touch point. We collate a detailed profile of their credentials, folio, lifestyle and design strengths before inviting them to join the Designbx community. At the heart of Designbx is a commitment to bringing key industry designers to your home – your way, in your time. They are filled with passion, warmth and the ability to think outside the box. We believe confident and happy designers can breathe life into any space. We will also collaborate with Australia’s top design educators, designs studios, and key forward-thinking design agencies. The Designbx solution is completely online, bringing interior design into the future. Take the first step by visiting our site and you’ll see just how easy it is. Take our style quiz or launch straight into your design project. After a few small steps you will begin to see a flurry of first impression style boards in your inbox. It’s an interactive, accessible and fun way to see your space come to life. Because the process is completely online, you and your chosen designer can work on the project any time, day or night to create a full design solution to meet your brief. Your personal Designbx account makes communication and management of your project easy and fast. Don’t worry; you don’t need to be a technical genius! Is there a job too big or small? There is certainly no job too big or small for our team. From a hallway to a full home, Designbx has you covered. The single project fee per room means that you can receive a full design solution and then complete that room at a time that suits you. The savings made via our exclusive industry discounts allows you to bring that full space to life within a budget that fits your needs. What’s included in my design project? We offer a complete interior design solution so you can be confident that you have everything you need to create the perfect room. In most instances, you will receive between 2-6 preliminary designs when you launch your project. During the revision period of your project, also known as the “Design Phase”, you’ll work on multiple drafts of your design with your designer. Your personalised design is downloadable and printable so you can easily show trades people, friends and family if needed. Your package includes 60 days of post project consultation with Designbx for up to two hours of additional support. This will allow you to continue receiving ideas and advice from Designbx like those special finishing touches, further guidance with your design set-up and any other garnishes that truly complete your showpiece. Also included in your package price is also our personal shopper service. We help bring your design to life by purchasing all the fabulous products you have chosen. When we shop on your behalf, you get our exclusive industry discounts! We also offer a custom package. If you would like to do more than three rooms, apply for a custom package. We would like to reward you for your commitment to design and reduce your Designbx fee. In addition, we think outside the box to create amazing solutions for home offices, new properties, granny flats and other unique requests. We love a design challenge! Where does a room start and finish? We love open-plan living, so where does one room start and finish? If your open space consists of two or more functional rooms, (e.g lounge/seating, dining area/kitchen) purchase a custom package or contact us so we can work with you for the best solution. Imagine how you use a space. If it’s specific to a function or purpose, it will most commonly be seen as one room. We are always here to help guide you, so please send images and questions to info@designbx.com for clarification. Will my designer recommend the final quantity, meterage of materials needs for a space (e.g. tiles, carpet, wallpaper etc)? With your client brief you’ll supply measurements of your space. We rely on these measurements to allocate material quantities. If you are unsure of your measuring skills, have a professional measure the space and supply you with accurate measurements. These are simple steps to beginning a project, ensuring Designbx creates the ultimate design solution for your space. Using an optional fun style quiz (what’s your interior style? ), simple and fast questionnaire plus some basic room measurements and photos, you’ll inspire our designer who will start designing and filling your inbox with first impressions boards. It’s all online, accessible, and easy to manage. Each design project generally runs for about a two to four-week period. Custom projects will have varying lengths. Guidelines will be advised on submission of your brief. If you ever need more time, consult with your designer and in most cases, they’ll be happy to accommodate. Below is a sample project timeline. How does the designer know my style? Our community of designers can bring that perfect amount of support, direction, and design talent to create your style, your way! Your style quiz results, project brief (along with photos), and measurements of your space are the key elements for your designers to learn your style. Completing the short and fun style quiz is also another way for your designers and yourself to get know your style. Your designers will help you through each step and ask all the right questions to ensure they understand enough about you and your style. What’s a first impression board? Once you start your design project, your brief will be submitted to our community of designers. It’s here they translate your brief, style, and personal thoughts to create their first impression of your space: a visual and exciting start to your design process. Take a look at the example below on what you could expect. What happens if I don’t select a designer? Once you’ve received your first looks, it’s time to select a designer to work with. If we notice that you haven’t picked a favourite designer, we’ll contact you with a friendly reminder. Our vision is to make interior design accessible and affordable. We pride ourselves on offering a quality and complete design solution for a single one-off fee, which means no hourly rates, commissions or hidden costs. The price is dependent on the room you are designing and ranges from $299-499 per room. Visit our packages and pricing page to view the prices that apply to each room type. How do I make changes to my brief? After completing your project brief but before launching your design project, it’s important to double-check that you haven’t left anything out of your brief or provided incorrect information. 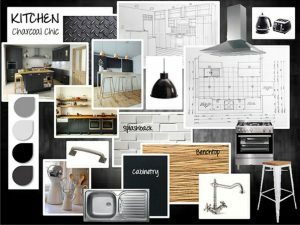 Our design community work quickly to provide your first impression board design concepts – if they are briefed incorrectly and need to undertake redesign work, it will eat into their design time allocated for your project. You can provide comments and feedback to your designer during the first impressions period to ensure your designers are meeting your brief as best as possible. How do I make contact with my designer? Contacting your designer is easy, open and friendly. During the first impressions stage of the project, you can make open and private comments for the designers that are competing to style your room through your project timeline. Leave general open comments under your design brief or private comments directly under a designer’s board. The designers will respond to your comments and adjust their first impressions where needed, so be sure to openly compliment or make suggestions. The designers love to hear your thoughts. Once you have selected your personal designer, you have full access to work with them one-to-one via the projects section of the website. That’s when you and your designer can closely collaborate and work toward a perfect design solution. Are there any limits to contacting my designer? Designbx is an open, supportive, inclusive and community-focused design platform. Your designers have chosen to work with you, they have read your brief and have enthusiastically taken that first step with their first impressions to become your one-on-one designer. Design has become accessible and fun, not only for you but our designers. They love hearing from their client and collaborating to ensure their vision perfectly matches your brief. Leave questions, upload inspirational images, send links to blogs, design…anything that shows who you are, how you live and how you see your dream space. Your designer lives and breathes design so they are always up for some friendly design banter. As always, your Designbx client support is in the background at info@designbx.com. How long after project sign off until I receive my final design folio? After you’ve signed off your final style board, floor plan and furniture schedule, your designer will provide you with your full design folio within four working days. How exciting! In the unlikely chance you are yet to receive your final design folio, contact your friendly client support team at info@designbx.com. What happens if I need to make changes after the project has finished? Your designer is committed to ensuring your satisfaction. Any minor questions can be asked on your final design package over your week review period but the design cannot be changed once you have given your final sign-off. However, your package includes 60 days of post project consultation with Designbx for up to two hours of additional support. This will allow you to continue receiving ideas and advice from Designbx like those special finishing touches, further guidance with your design set-up and any other garnishes that truly complete your showpiece. This will give you plenty of help to see your design come to life! We understand that design is very personal. If you launched a project with us and have not selected a winning designer yet, you can initiate a refund by contacting info@designbx.com. Unfortunately we are not able to provide refunds on gift vouchers. I have a project overseas, can I use Designbx? We would love to help! Let’s chat and see if we’re the right solution for you. info@designbx.com. How can I purchase products using your “Personal Shopper”? After you receive your complete design folio, you review and tick the items you would like to purchase to complete your dream space. It’s that easy. You’ll receive an email with your furniture schedule that includes all of your selected items. We’ll issue you with an invoice for your items, including quoted delivery fees (so no hidden costs). Once payment is made, the Designbx team will place your order and manage your delivery ensuring you receive your exclusive industry discounts. Your items will be delivered to you as soon as possible, and all stress free. Have any questions at any point? No problem. Just contact your Designbx personal shopper at info@designbx.com and quote your client code. All the items that you purchase through Designbx will be sourced from our trusted suppliers. We will be purchasing these on your behalf and assisting with the ordering process. If you have any issues with the items we will be happy to help out with returns, however please note that the items are final upon purchase. All prices are in Australian dollars and include applicable taxes such as GST. How will purchases appear on my credit card statement? Purchases will be listed on your credit card statement as “PAYPAL – *DESIGNBX 56778930459 AU”. Your estimated delivery times will be outlined in your Designbx order. In most instances delivery takes a matter of days but for more unique, limited or rare items can take longer; in some cases up to 12 weeks. If you have a specific time frame to adhere to, just advise your designer in your briefing process and they will design to those needs. We will help at all points to ensure you receive your prefect design within your time frame. What happens if a product is unavailable when my order is placed? These things can happen but most issues are easily resolved. Your Designbx personal shopper will consult with your designer to select a replacement item. You will be emailed with the correction and confirmation for a new order to be placed once approved by you. Problem solved! A Designbx gift voucher can be redeemed by entering the code in the “Gift Voucher” box in your cart. You will need to register with Designbx in order to use the voucher and complete your design brief first, so we can match your requirements with our packages. The full value of your gift voucher will need to be redeemed, so go wild and treat yourself! As a forward-thinking solution, we’re always excited about opportunities to learn how we can improve your Designbx experience. If you can’t find what you need in the FAQs or have any suggestions, please reach out to us at info@designbx.com. We’re always happy to hear from you! Find us on your favourite social media sites and join the conversation. Check out our blog, like us on Facebook, follow us on Pinterest or Twitter.